Dash Media bill Kwara State Politics world news Reps propose six months jail term for anyone who distorts queues in public . .
Reps propose six months jail term for anyone who distorts queues in public . .
A Bill proposing six months imprisonment for persons who shunt or distort queues in public places on Thursday scaled second reading at the House of Representatives. . The Sponsor of the bill, Rep. Abubakar Amuda-Kannike (Kwara-APC), while leading debate on it, said that it sought to ensure that Nigerians conducted themselves orderly in public places. Amuda-Kannike said that it was normal practice for some Nigerians to shunt or distort queues and go unpunished. . He expressed worry that recent events had shown that Nigeria was on the verge of losing its cherished sense of nationalism, cultural identity and hospitality. .
“The bill underscores the need to re-awaken a derailed national culture by proposing disciplinary measures to guide Nigerians in their daily behaviours. . In our society today, out of total disregard for other persons, who strive to do the right thing by conducting themselves orderly in public places, a large number of Nigerians distort queues and go unpunished. 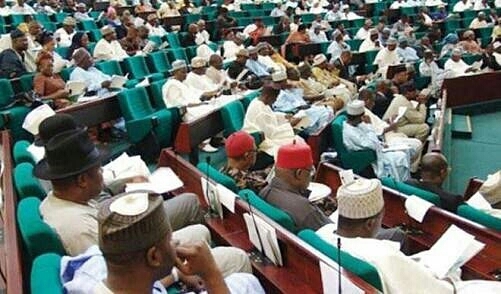 The bill if passed shall provide a starting point of value and cultural re-orientation in Nigeria,” the lawmaker said. . He expressed optimism that the bill if passed, future generations would have a more sane society that would help to shape morals, principles and respect for each other in addition to adequate awareness on what constitute nationhood. . He decried the prevailing level of corruption, indiscipline, disrespect to elders and the rule of law in the country. “The bill underscores the need to re-awaken the derailed national culture by proposing disciplinary measures to guide Nigerians in their daily behaviours,” Amuda-Kannike said. . Contributing, Rep. Sam Onuigbo (Abia-PDP) said that the bill would also ensure orderliness, equity, fairness and justice in the distribution of services in the country. Rep. Ayo Omidiran (Osun-APC) said, “by being orderly in all our activities, we will be transmitting good behavioural pattern to generations and this will promote a better society." 0 Comment to "Reps propose six months jail term for anyone who distorts queues in public . ."